About Us: We are a 100% Australian family owned and operated removalist with over 20 years experience in the industry helping families move anywhere interstate. We specialise in helping you safely move furniture Australia wide and Internationally cheaply. Compare our price when you request a quote. DIY Removals: Save money by self loading and unloading furniture, beds and household items. We quickly assist you to move house or relocate your business Australia Wide ( Interstate) using our super low cost, self load / unload shipping containers. By packing and loading furniture yourself, you get a very cost effective alternative to most interstate removal companies doing your move. We carefully place the shipping container on the ground at your address and you load and unload. We coordinate all of the transport for you including any storage if required. Fill in our removalist Quote Request form (on right hand side) for a price. We can move any container interstate or across your state from your door to any reasonable destination by road, rail or sea using our transportation partners across Australia. Visit our Transport information page for more details. Our interstate removal services can organise transport to any part of Australia both city and state locations including Queensland, Brisbane, New South Wales (NSW), Sydney, Victoria, Melbourne, Geelong, Tasmania, Hobart, South Australia, Adelaide, Western Australia, Perth and Canberra. And of course any where in between across Australia. We also organise international removals to any part of the world. We source and supply any size, grade or type of shipping container, subject to availability, across Australia and deliver to your door. Request a removalist quote (right) to find out how much you can save. Please Visit our Testimonials Page for personal comments from our happy clients about the interstate removalist Jobs we've done for them. Please also visit our Fernando's Google plus page for interstate container removals. 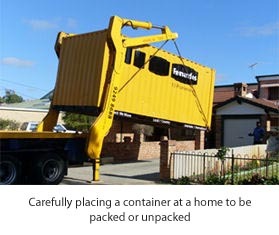 We also suggest reading information from the Australian Furniture Removals Association. We can assist with boxes and packaging materials for your household items. We can either supply these or let you know where to locate these from near you. For some useful packing tips overall the self storage association of Australasia has a few tips. We always recommend organising insurance for when moving house. Read more here. 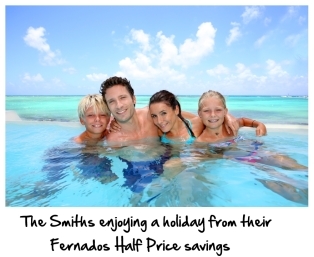 Simply fill in the quick quote form on the top right hand side of this page to find out how much you'll save. It takes less than 60 seconds.